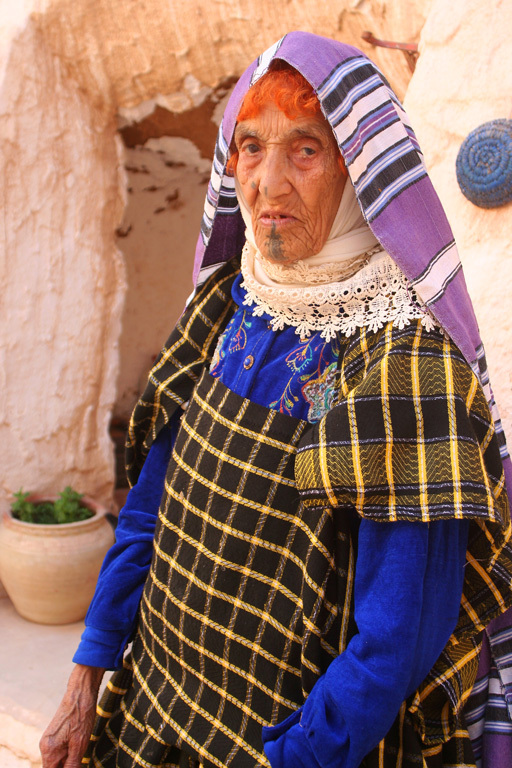 Right at the top of Africa, Tunisia is a tiny country of diverse treasures. From sophisticated cities to vast Roman ruins; the languid Mediterranean coastline to deep Sahara Desert, mountains and forest, its striking beauty and warm-hearted people will touch your soul. An old woman in a white cape and traditional babouche shoes sits warming herself in the afternoon sun. She’s surrounded by the high stone walls of the Sousse medina, or old quarter, and above her flaps a Tunisian flag in bright red and white. She sits quietly amidst the bustle of shoppers and traders, in one hand she holds a tiny glass of mint tea, with the other she strokes a passing patchwork cat. Beyond the medina walls, the modern city of Sousse and its busy harbour are a buzz of activity. Sophisticated shops and tall glass buildings are clear indicators that of Tunisian progress. This is no backwater African country. Even though Tunisia is an ancient place with a colourful history and many old-world traditions, these also fit comfortably into the modern Tunisia and are no hindrance to progress. With traditional malouf music playing softly on the radio, we leave seaside Sousse and head inland to El Jem, where a virtually intact colosseum dominates the centre of the town. It’s hot here, and as we sit in the 30 000-seat stone amphitheatre it’s easy to imagine the shenanigans held here when the Romans were in town. Circuses were prized entertainment for the masses, and rulers used these often macabre shows to keep their people happy. Wild animals and gladiators perished here in the past, but today El Jem is far more genteel. A living legend of Matmata and the face on many postcards, the now late Mrs Fatima showed us around her underground home where she lived all her life. Through the doorway in the rockface is an open courtyard, and all the rooms lead off it. It’s a double-storey home, so to speak, with the top level closest to ground level for food storage and the lower level used as living quarters – because it’s coolest there in the over 50ºC temperatures of summer. Furniture in the home is fixed and carved from the sandstone, and rooms are adorned with the vibrant rugs of the Berber weavers. 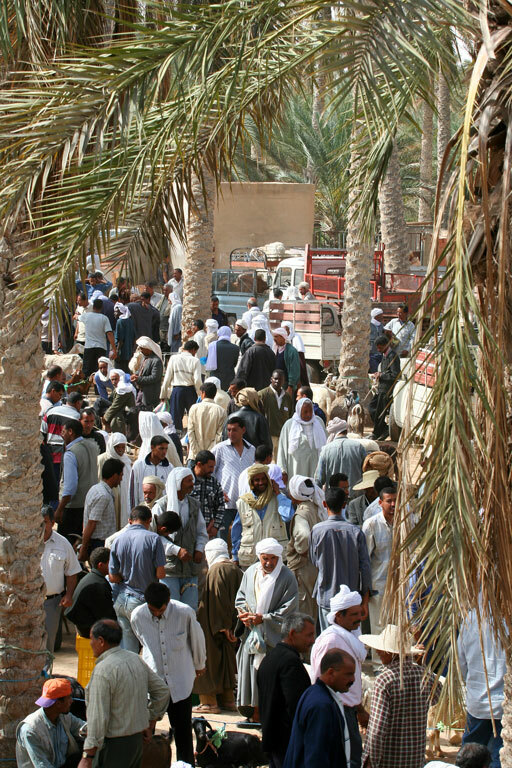 On the edge of the Sahara, the camel market in Douz is a lively affair and trade is swift under the date palms. Sheep and chickens also feature, and by noon business is done and men gather to smoke chichi water pipes and drink tea in surrounding cafes. These cafes are a male tradition throughout Tunisia, and while women are perfectly welcome too they generally choose not to partake. Across the ‘sea of death’ – a massive dry salt lake where camel caravans are said to disappear when they follow mirages – we head towards the desert town of Tozeur. 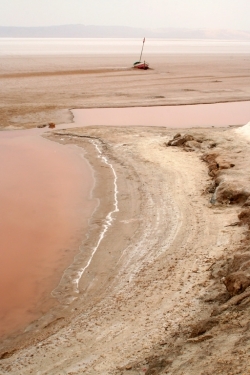 It’s over 90km across the Chort el Jerid salt lake, and tiny bushes in the distance seem to grow in size to resemble lines of camels. But the natural rock desert roses really do stand as tall as tables. By the time reach Tozeur, with its ornate brickwork and story-telling carpets, we are officially completely enchanted with Tunisia. 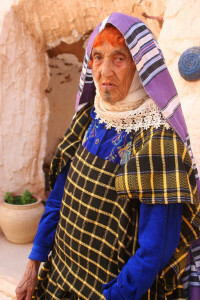 Their special blend of old and new, and the careful distillation of the very best of influencing cultures and traditions makes Tunisia both refreshing and unique. It’s full of soul, full of vibrancy, full of promise. A tiny gem of a country with a bright future. 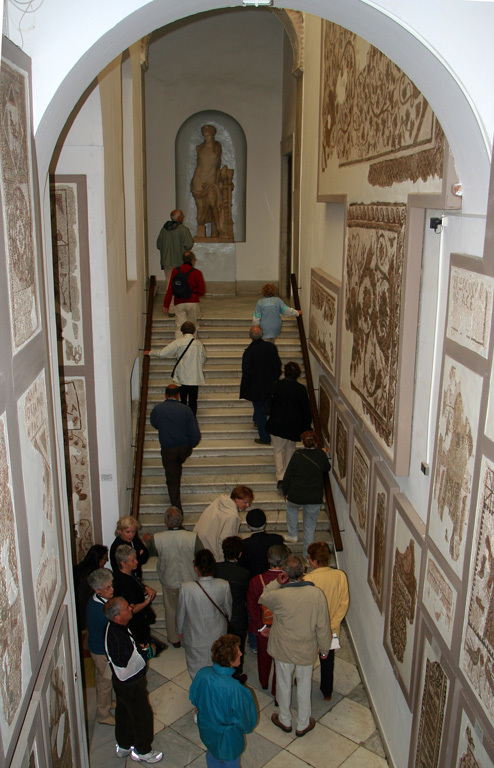 The Bardo Museum, Tunis – the world’s largest Roman mosaic collection (all over 3 000 years old). 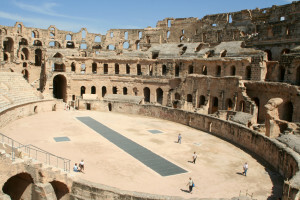 El Jem’s colosseum – better preserved than the one in Rome. Carthage – once home to Hannibal, Carthage is a magnificent Roman site right on the coast near Tunis. 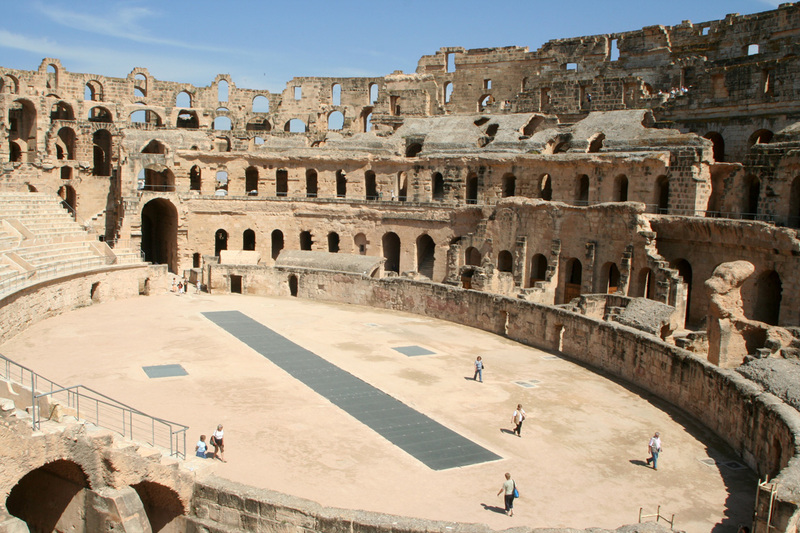 Dougga – a full Roman city and Tunisia’s most extensive Roman site. 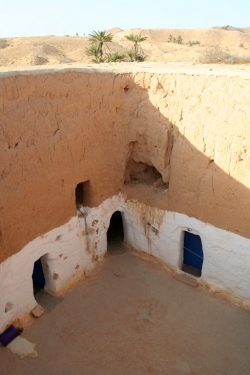 Matmata – the moonscape-looking town with crater-like pit dwellings. Kairouan – one of Islam’s holiest cities; four trips here is as good as going to Mecca. Also renowned for exquisite carpets. 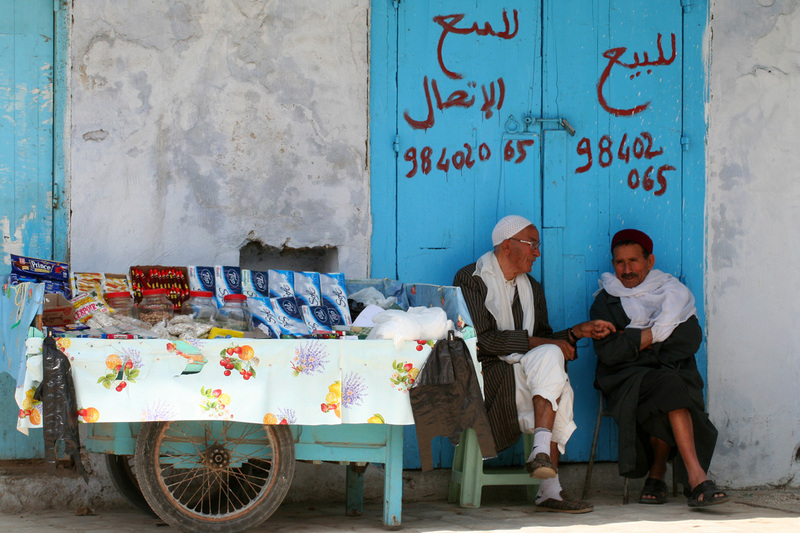 Djerba – island linked to the mainland by ferry and causeway and home to fort-like mosques and Berber pottery. Bizerte – beautiful seaside town on the Mediterranean, with an old port, fort and numerous lighthouses. Medinas – in Tunis, Sfax, Sousse and Kairouan – all sell uniquely Tunisian wares. 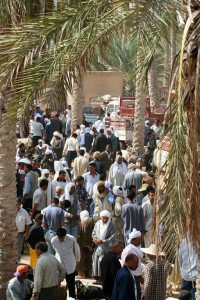 Douz – Sahara dunes and the camel market on Thursdays make this an evocative stop. Desert canyons of Mides and Chebika – for breathtaking rock landscapes, palm trees and two waterfalls. Population: 11 million with 2 million resident in the capital, Tunis. Infrastructure: excellent roads and communications with cellphone signal right into the Sahara. Siesta: shops close between 12.30pm and 3pm. Main export: phosphates, textiles and olive oil. Movies: The English Patient, Star Wars, Raiders of the Lost Ark, Life of Brian, and Jesus of Nazareth were all shot in Tunisia. Best time to go: Spring (March to May) and Autumn (September to November). Mid year can be very hot in the desert and hot and humid along the coast; year end can be cold along the coast and in the north. Getting there: Air France flies Johannesburg to Tunis (via Charles de Gaulle, Paris) Special tourist activities: spa (thalasso) holidays and golfing trips.